A year after the launch of its first phone, Xiaomi, the $4 billion-valued company sometimes referred to as the Chinese Apple, has unveiled its much-anticipated second-generation handset which is anything but a budget Chinese knock-off. 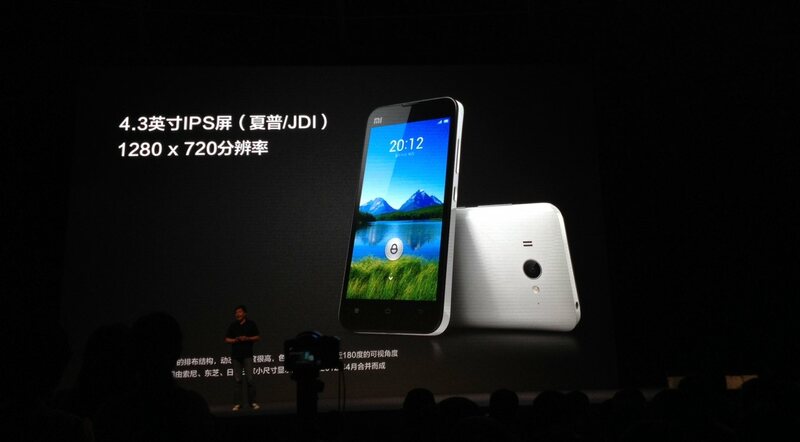 The quad-core Xiaomi 2 looks like being a real iPhone contender when it launches in October. It is powered by a 1.5 GHz Qualcomm Snapdragon processor and runs the company’s MIUI V4 skin of Android 4.1 Jelly Bean. The phone even has its own Siri-like voice recognition software, developed by Keda Xunfei. Features and specs-wise, it boasts 2GB of RAM, 16GB of memory and a 4.3-inch (1280×720 resolution) display. The phone an sports 8-megapixel camera (with an upgraded F2.0 lens) on the rear and a 2-megapixel camera on the front. The phone is priced at 1,999 RMB ($315), available in five colours and is HSPA+-compatible – offering speeds of up to 42mbps. Interestingly, its USB port is HDMI-compatible, allowing owners to use it as a media playing device when hooked up to TVs and screens. The company also announced details of another new handset, the Xiaomi 1S, which will launch August 23, priced ay 1,499 RMB (circa $235). 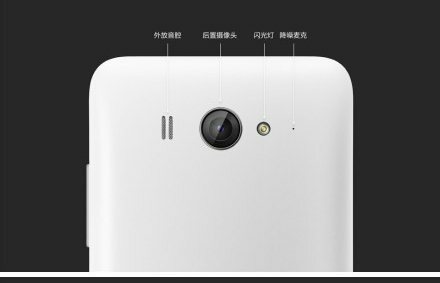 The device, powered by a 1.7 GHz dual core-processor, will act as a step between the Xiaomi 2 and its year-old Mi-One predecessor. The company says that the Xiaomi 2 beat out the Samsung Galaxy S III over benchmarking tests and, as the launch video below shows, it is certainly impressive. The Beijing-based company showed off the phone at a launch event for press and fans today. The device has been eagerly anticipated and the 1,000 tickets for the general public sold out in just five minutes. The event also doubled as a birthday party for the first-gen Mi-One phone, and the company revealed it has sold 3.524 million units of its original device. Xiaomi began teasing the new phone at the start of this month by touting the environmentally-friendly packaging and hinting at the launch date. 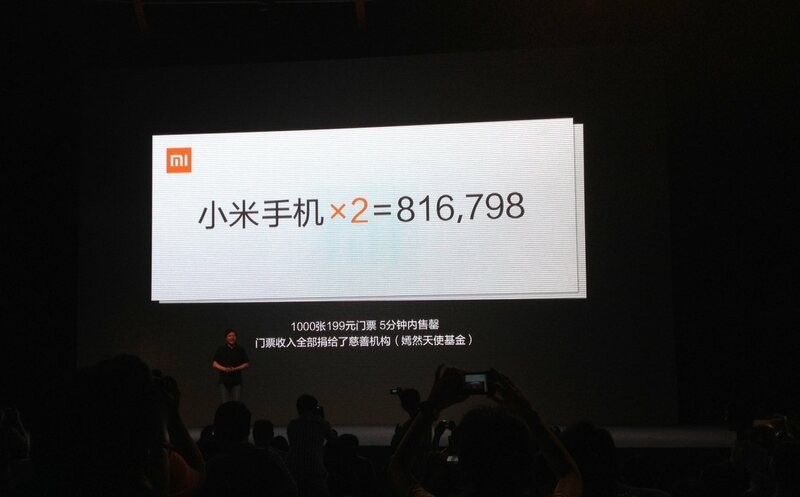 Earlier this week, Xiaomi cut the price of the Mi-One to $204 (RMB1299) in preparation for the second-generation launch. The Mi-One sports a dual-core 1.5 GHz Qualcomm Snapdragon processor, 1GB of RAM and an 8-megapixel rear camera. In June, the company wrapped up a $216 million Series B funding round with a valuation of $4 billion, just months after a $1 billion Series D valuation. Xiaomi revealed this spring that it is bring in more than $158 million in monthly revenue.